Want to have more accountability, increase the intensity of your sessions, boost confidence in the gym, increase the safety of your training and have more fun in your sessions? If the answer is Yes then you really should consider hiring a good personal trainer. 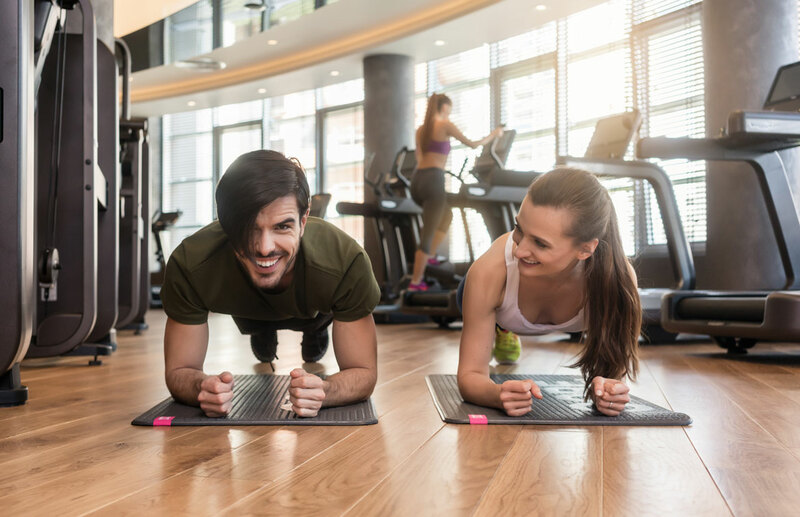 If however you feel a personal trainer is an expense you cannot afford at the moment then consider getting yourself a training buddy, someone with similar goals to you who is at a similar level. Obviously this will not be as effective as having a qualified, passionate and experienced trainer there with you planning and guiding you through your sessions, but there is undoubtedly some key benefits to training alongside someone else vs just going it alone. I am an experienced trainer myself and I have no issues training on my own but if I am honest I do prefer to train with someone else as it generally increases the overall intensity of the session, brings out the best in me giving me that little more motivation and determination to perform better and when I am toiling and needing a bit of a lift there is someone there to pick me up and help me push through those last few reps or sets which ultimately may make all the difference. Its easy to find an excuse to cancel your training session, but if you have pre planned to meet someone else after work or during lunch you are not likely to disappoint them by cancelling for no valid reason. Your buddy is likely to be the catalyst to helping you maintain consistency by adding that extra accountability factor. When you have somebody working out alongside you, there is an element of hidden competition. In other words, you don’t want to be the weaker one or the one who gives up too easily. You will push each other to limits you would not get to as easily if you were on your own, as long as the session stays safe and you know your limitations then this is a good thing. In a class or group pt environment I often see clients going beyond what they thought they were capable off. In other words sometimes it takes others to bring the best out in you, I nearly always find a suitable training partner each week for my leg sessions for this reason. then you will both provide each other with the encouragement that is needed to make progress. We do “PT Buddy Sessions” at our gym and the clients always report that they feel like they have 2 PT’s me and their buddy as they are always giving one another encouragement and positive feedback. Once you start making progress, you will develop the motivation to keep going. When you are on a journey with someone else and you start to see results, it is much easier to stay on track because it becomes a habit, a lifestyle, a friendship and much more than just an hour in the gym. You will have more confidence. If you lack a bit of self confidence particularly in the gym where there can be all types of regular gym goers, some that you may find intimidating and off putting to rub shoulders with, having a buddy gives you that extra bit of confidence to get in there and get the job done. Having a training partner sometimes nudges you towards trying out different workouts and/or exercise methods you may have been too shy to try previously on your own. Keeps your workouts safe. Probably one of the most important reasons, particularly with weightlifting is it will help keep the session safe. Training with a partner or buddy means you will always have somebody there to spot you if you require support in an exercise. Not only that but they could be able to point out any major technique issues by being your mirror. In an ideal world you would pay for a personal trainer for this but a training buddy has the potential to be able to assist you with basic pointers to improve technique.